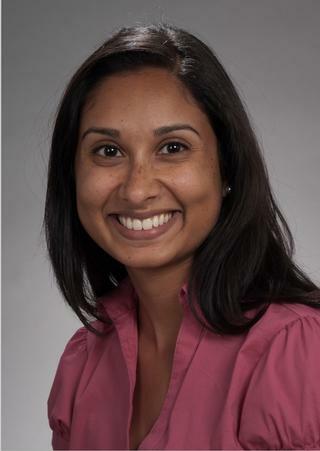 Dr. Madathil currently serves as the Inpatient Rehabilitation Neuropsychologist at URMC. She received her doctorate in Clinical Psychology from The University of Montana, and went on to complete her residency and post-doctoral fellowship in both Rehabilitation Psychology and Neuropsychology at The University of Washington Medical Center. In addition, she completed a one year research fellowship at the Seattle VA examining the effects of repeated, blast-related mTBI in OEF/OIF/OND Veterans. Dr. Madathil provides psychological services with the goal of increasing function and quality of life for persons living with chronic illness, injury, and/or disability. Her current clinical practice focuses on assisting individuals and their support systems in coping with, and adapting to, the effects of injury or illness during hospitalization. She also specializes in brain-behavior relationships, and the neuropsychological assessment and treatment of neurological disorders. Her approaches are biopsychosocial in nature, and most often include brief, solution focused therapy, CBT, hypnosis for pain, mindfulness, cognitive rehabilitation, and neuropsychological evaluation. Pagulayan KF, Rau H, Madathil R, Werhane M, Millard SP, Petrie EC, Parmenter B, Peterson S, Sorg S, Hendrickson R, Mayer C, Meabon JS, Huber BR, Raskind M, Cook DG, Peskind ER. "Retrospective and Prospective Memory Among OEF/OIF/OND Veterans With a Self-Reported History of Blast-Related mTBI." Journal of the International Neuropsychological Society : JINS.. 2018 Apr 0; 24(4):324-334. Epub 2017 Dec 29. Beier M, Gromisch ES, Hughes AJ, Alschuler KN, Madathil R, Chiaravalloti N, Foley FW. "Proposed cut scores for tests of the Brief International Cognitive Assessment of Multiple Sclerosis (BICAMS)." Journal of the neurological sciences.. 2017 Oct 15; 381:110-116. Epub 2017 Aug 16. Goldberg M, Madathil R. "Evaluation of Cognitive Symptoms Following Concussion." Current pain and headache reports.. 2015 Sep 0; 19(9):45.